Bradley’s Creamery is a straightforward, old-fashioned ice-cream stop. There’s no added fanfare or special catch to their ice cream – they present quality, flavorful ice cream with real fruit and fresh ingredients made in-house. This timeless, simplistic approach works wonders as their ice cream is reminds us of Southern Summer in every lick. King Tut’s brings a concept we wish we’d see more of in the South. Bringing genuine family recipes from the Nile Valley in Southern Egypt, Ragab Rashwan expertly blends his heritage with a life spent in New York working on presentation and restaurant craft. The Falafel Tacos made from scratch were our top pick. Retro Sno had us excited about the event weeks before we were in town. They have the cutest, most-fun presentation we have ever encountered in the snoball realm. Real candy rainbows on my snoball? Sign me up. Even better, they use premium cane sugar to make their syrups by hand! A very personal touch to make buying a snoball from Retro Sno so worthwhile. Lastly, we have That Awesome Taco Truck, who gets bonus points from our Brand Manager on the name – so good. 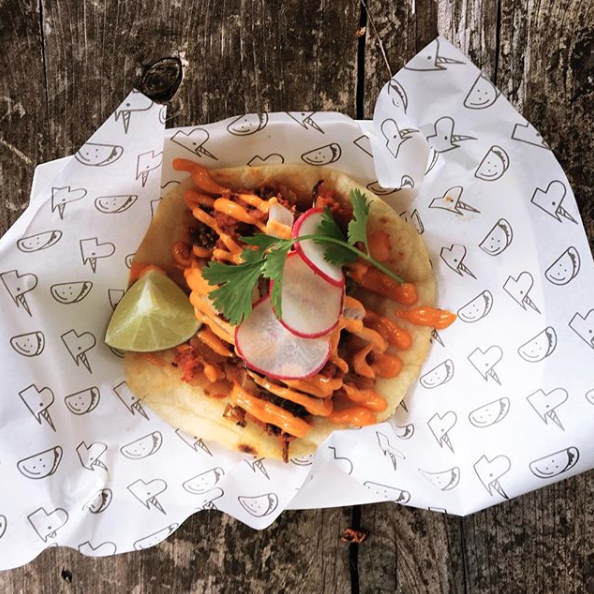 Chef Danny spent twenty years in Boston’s fine dining scene and three years as the head chef of an award-winning Mexican restaurant before moving to Nashville and starting That Awesome Taco Truck. His food and presentation capitalizes on Chef Danny’s years of experience in high-end fine dining to provide a flavorful, more casual version of his favorite dish to serve friends and family: the taco. Thanks so much for the opportunity, WeWork! Hope to see you again, Nashville!